Programming can be stressful How to Learn Programming Without All the Stress How to Learn Programming Without All the Stress Maybe you've decided to pursue programming, whether for a career or just as a hobby. Great! But maybe you're starting to feel overwhelmed. Not so great. Here's help to ease your journey. Read More , especially if you try to start out with an archaic language. Newbies are better off dipping toes in something a bit more modern, such as Python 5 Reasons Why Python Programming Is Not Useless 5 Reasons Why Python Programming Is Not Useless Python -- You either love it or you hate it. You might even swing from one end to the other like a pendulum. Regardless, Python is a language that's hard to be ambivalent about. Read More , Ruby 6 Easiest Programming Languages to Learn for Beginners 6 Easiest Programming Languages to Learn for Beginners Learning to program is about finding the right language just as much as it's about the edification process. Here are the top six easiest programming languages for beginners. Read More , or Swift. But coding veterans also have much to gain by switching to Swift, including those who feel burned out on mainstream languages Programming Burnout: How to Regain Your Lost Motivation Programming Burnout: How to Regain Your Lost Motivation Writing all those lines of code can be draining physically and emotionally. All you need to get back up is the awareness that motivation can be regained. Read More . Having only debuted in 2014, Swift is a young language and many programmers have been rightfully skeptical about picking it up. But sure enough, that skepticism holds less and less water every day — you ought to learn Swift sooner rather than later if you don’t want to be left behind. Here are some excellent reasons that may convince you. Throughout 2016, the App Store generated approximately $20 billion in sales for app developers across both Mac and iOS platforms. Since Apple takes a 30 percent cut for App Store sales, we can estimate that users spent around $28.5 billion on apps that year. That’s huge. Don’t you want a piece of that pie? 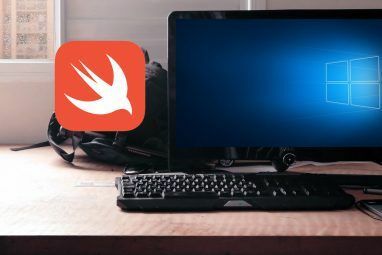 The Swift language can be used to create both Mac and iOS apps, acting as the eventual replacement for the antiquated Objective-C language which was the only native option for Mac and iOS developers until now. Learn one language, create apps on both platforms, and tap into the still-growing app market. Two birds with one stone. When the Apple team designed Swift, they had two big requirements in mind: it should be easy to learn, and it should promote an easier and faster development cycle for apps. Well, when compared to Objective-C, it’s clear that they succeeded. No undefined or uninitialized variables. Explicit handling of nil (null) values. So you spend more time writing actual business logic and less time worrying about all the edge cases that might cause your code to crash and burn. Furthermore, the language itself has done away with a lot of the syntactic verbosity in Objective-C, making it easier to write and easier to read. You literally spend less time writing code to do the same amount of stuff as in Objective-C. Over the course of an entire project, the time savings absolutely add up! Despite being a high-level language focused on rapid development, Swift’s performance and speed is nothing to laugh at. According to Apple, Swift is up to 2.6x faster than Objective-C and up to 8.4x faster than Python 2.7. The developers eventually want to make the language even faster than C++, one of the fastest practical languages today. And it isn’t just fast, but it’s powerful and packed with modern language features that enable you to write advanced code. Notable ones include: generics, closures, tuples, multiple returns, iterators, built-in functional programming patterns, and more. To learn more about this, see our articles on high-level vs. low-level languages High-Level vs. Low-Level Programming Languages: Which Should You Learn? High-Level vs. Low-Level Programming Languages: Which Should You Learn? What exactly are high level and low level programming languages? And what does it mean for learning to write code? Let's start with the definitions of each and go from there. Read More and why some programming languages are faster than others Why Are Some Programming Languages Faster Than Others? Why Are Some Programming Languages Faster Than Others? There are numerous programming languages out there. They all have individual quirks, used for different things. But what makes one programming language faster than another? Read More . Many of the same language features that make Swift faster to code in than Objective-C also make it safer and more secure than Objective-C.
For example, better memory management means fewer opportunities to misallocate data, access wrong parts of memory, alter data that shouldn’t be altered, etc. Another example, better error handling means fewer crashes overall, and when it crashes, catastrophic scenarios are much rarer. Unpredictable behavior is minimized. A year after Swift debuted, Apple went ahead and made it open source. While open-source programming languages aren’t unusual, it is unusual for a company that so often pushes proprietary technology to do something like this. But hey, it proved fruitful. As an open-source endeavor, Swift is in the hands of its community. Regular users can submit bug fixes and feature enhancements for the language, they can help port it to platforms beyond just Mac and iOS, and they can fork the language if it ever derails and loses its way. 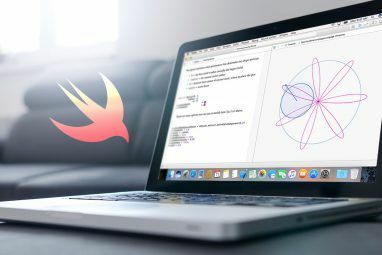 To learn more about why this is a big deal, see our article on the implications of an open-source Swift Apple's Swift Is Going Open Source: So What? Apple's Swift Is Going Open Source: So What? Even if you aren't a programmer yourself, Apple's decision to open source Swift will impact you. Want to know why and how? Read More . For further reading, check out why open-source software is important What Is Open Source Software? [MakeUseOf Explains] What Is Open Source Software? [MakeUseOf Explains] "Open source" is a term that’s thrown around a lot these days. You may know that certain things are open source, like Linux and Android, but do you know what it entails? What is open... Read More and why people contribute to open-source projects Why Do People Contribute to Open Source Projects? Why Do People Contribute to Open Source Projects? Open source development is the future of software. It's great for users because open source software is usually available gratis and often safer to use. But what compels developers to contribute code for free? Read More . According to GitHub’s Octoverse 2017 report, Swift is the 13th most active language across all of its open-source projects. But more importantly, Swift’s demand as a career language is also skyrocketing, and if you want to be an app developer, you need to know it. TNW reported that the employee demand for Swift developers shot up by 600 percent in 2016 based on data provided by Toptal. By the end of 2016, Upwork reported that Swift was the second fastest-growing skill in the freelance job market. And in Stack Overflow’s 2017 survey, Swift came in as the fourth most-loved language among active developers. Glassdoor reports the average base salary for an iOS Developer as $94k. 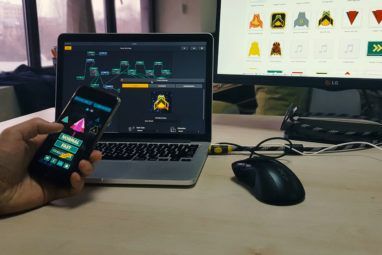 App development is one of the hottest programming careers right now 10 Computer Programming Jobs That Are In Demand Right Now 10 Computer Programming Jobs That Are In Demand Right Now Since landing a programming job can be tough in the current landscape, consider focusing on one of the following concentrations to improve your chances of success. Read More . If you decide to pursue it professionally, see our articles on writing the perfect programming resume How to Write the Perfect Resume for a Programming Job How to Write the Perfect Resume for a Programming Job Here are five things to do and five things to avoid when putting together your resume for a programming job. Read More and preparing for a programming interview How to Prepare Yourself for a Programming Interview How to Prepare Yourself for a Programming Interview The best advice for programming interviews. Any interview can be daunting. Do you know enough to pass? Will your solutions be good enough? What if you choke? Apply these five tips. Read More . Apple is going forward with Swift full force. If it’s grown this much in just a few years, imagine how much more important it will be as part of Apple’s products later on. As of this writing, Swift is mainly used to develop Mac and iOS apps, but it won’t always stay that way. Apple is constantly working on new technologies and devices, and you can bet this language will be used in many of those applications. If you want to keep up with Apple as a software developer, then you need Swift. There’s really no way around it. Objective-C will soon be left in the dust, and if you don’t catch up soon, you’ll be left behind as well. Convinced yet? If so, great! Now you may be wondering how to start learning Swift and putting it into practice. 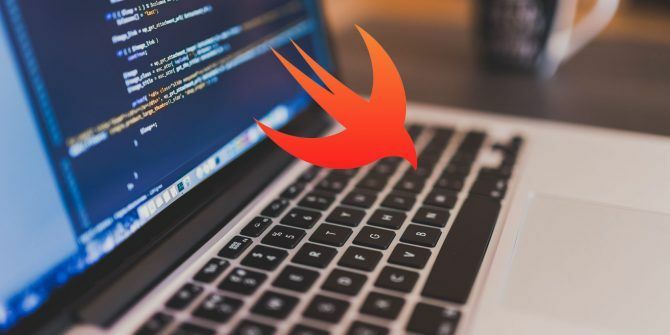 We highly recommend these useful Swift tutorials as your first stop, followed by these Swift coding challenges to cement what you learn. Then try these iPhone app projects for Swift beginners to get some real experience with it. But perhaps most importantly, check out our article on how to master a new programming language 7 Useful Tricks for Mastering a New Programming Language 7 Useful Tricks for Mastering a New Programming Language It's okay to be overwhelmed when you are learning to code. You'll probably forget things as quickly as you learn them. These tips can help you to better retain all that new information. Read More , which will help you to not be so frustrated with the process! How do you feel about Swift? Is it worth picking up or do you think programmers should wait a bit? Is there anything you don’t like about Swift? Let us know in the comments!